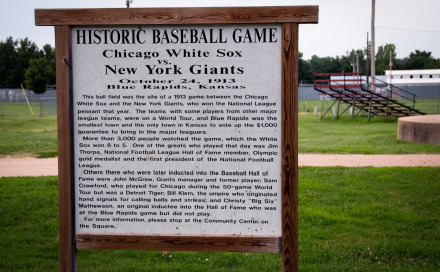 Blue Rapids was the smallest town to raise the purse to be included in the 1913 World Tour. The ball diamond is still in use today. A book listing all the cities included in the tour can be viewed at the Blue Rapids Historical Museum, 36 Public Square.